Quality Built New Construction Home in Birmingham's Trendy Rail District! This Beautiful 3 Story Home is Located Within Easy Walking Distance to Griffin Claw, Beyond Juice, Fitness Centers, Ice Arena, and Tennis Club. 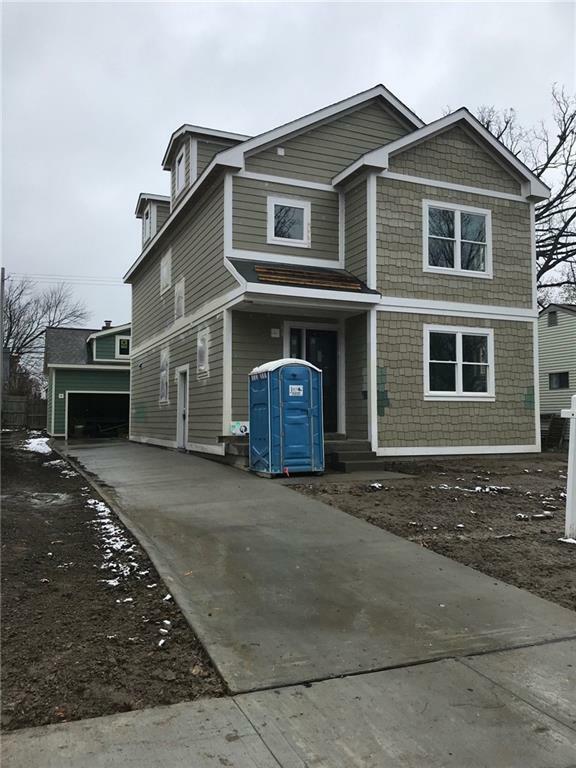 Hardwood Floors throughout the Main Level and Stairway, White Cabinetry in the Kitchen, Granite Countertops, Crown Moulding, Hardy Siding,Pella Windows and Doors. Side door Entrance with a Mudroom and Kitchen Doorwall leads to a Patio. The 2nd Level leads to the Master En-Suite with a Walk-In Closet, the Laundry Room, and 2 additional Bedrooms sharing a Full Bath. The 3rd Story has a Fantastic 4th Bedroom with its own Private Full Bathroom or could be used as a Bonus Room. Basement is plumbed for a 4th Bathroom. Appliance Allowance so you can choose the Appliances you want! Fenced yard and Sprinkler System. Builders Warranty. Estimated Occupancy is January. © 2019 Ann Arbor Area Association of Realtors Multiple Listing Service. All rights reserved. IDX information is provided exclusively for consumers' personal, non-commercial use and may not be used for any purpose other than to identify prospective properties consumers may be interested in purchasing. Information is deemed reliable but is not guaranteed accurate by the MLS or The Toth Team - Keller Williams Ann Arbor Market Center. Data last updated: 2019-04-19T21:12:19.207.